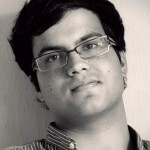 Tanuj, an alumnus of NUJS, Kolkata (2008-13) started Lawctous after Chicken Pox left him in bed. He is the prize winning blogger LegalPoet and worked at vakilsearch.com as the VP, Marketing for 6 months before deciding to work on Lawctopus full-time. His book ‘Law as a Career‘ has been published by LexisNexis. He can be reached on Facebook here, on Linkedin here. 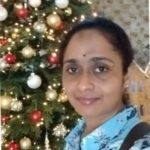 Usha started off as a software engineer in a top IT company in India and transitioned into the field of online marketing. She has an MBA degree from ICFAI and a certification in digital marketing from NMIMS. She also hold Hubspot Inbound and Content Marketing certifications. Prateek Bhandari, Dhruv Mairal, Debanshu Khettry and Naman Gupta, all from the 2008-13 batch of NUJS Kolkata, were instrumental in the making of Lawctopus. They continue being well-wishers of the web-site but are no longer actively working on it. Yes, he is not a lawyer. Kindly verify the same. He is a businessman and runs an export-import business.